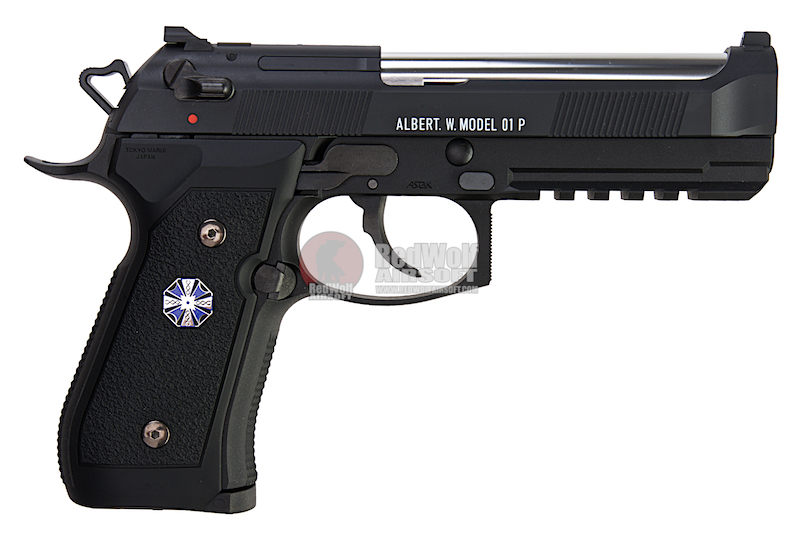 Unique design patterned after the weapon used by "Albert Wesker". Fully functional gas blowback pistol. Comes with a 17 round magazine. 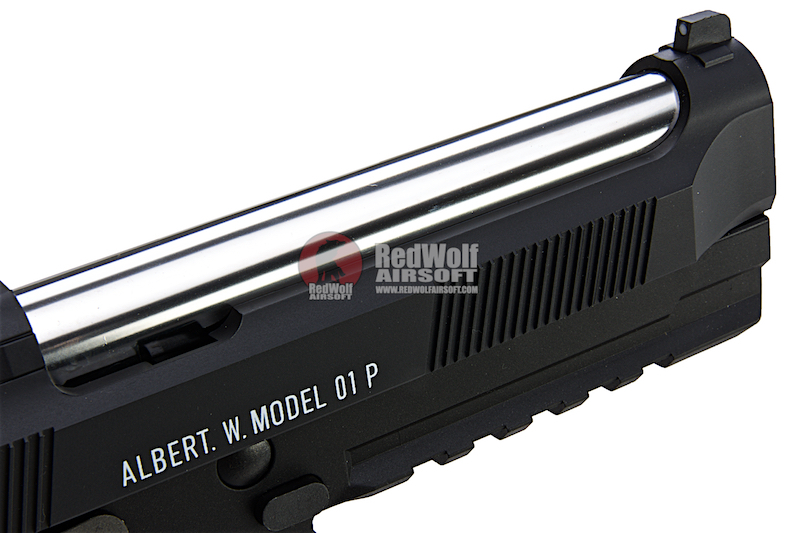 Magazine Compatibility - Tokyo Marui Biohazard M92 gas magazines. 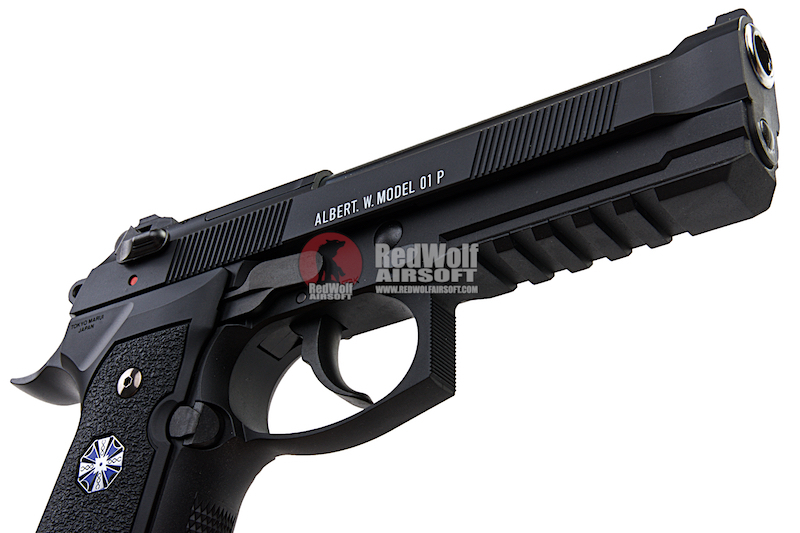 The Tokyo Marui Biohazard Albert W. model 01 P Umbrella Corporation GBB pistol is modeled after the same pistol used by video game character Albert Wesker from Biohazard or Resident Evil as it is called in the West. 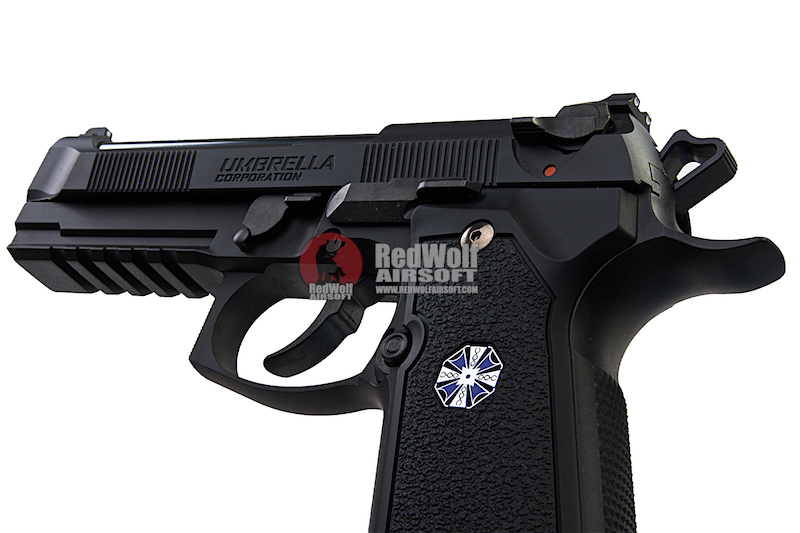 The pistol is a modified M9 style pistol featuring the video game Umbrella Corporation markings on it giving it extra collector's value. 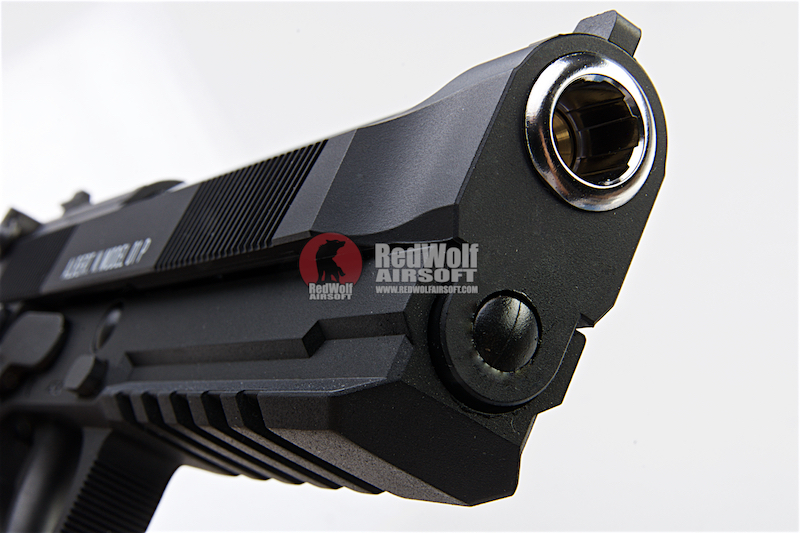 It is also a full functioning airsoft gun as you can still take it out to games if you so desire. Adding to the collector's value and immersion factor, you will find that there is Umbrella Corporation literature in the box. 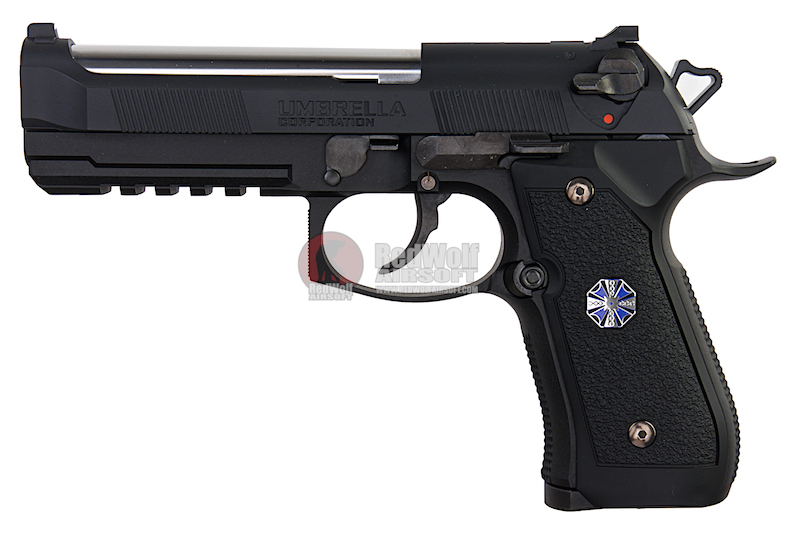 Along with many of the previous Biohazard/Resident Evil guns, this one is also highly collectible. 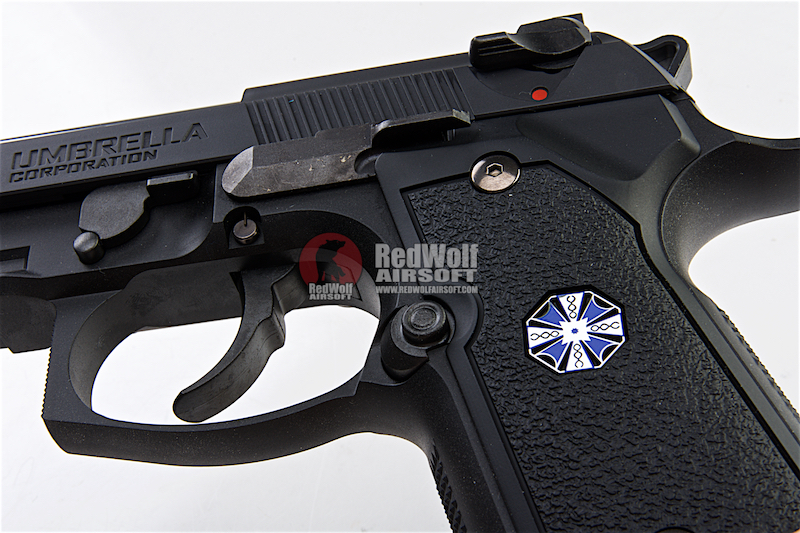 x1 Tokyo Marui Biohazard Albert.W.Model 01P (Umbrella Corporation) GBB. Tokyo Marui Biohazard Resident Evil Samurai Edge Std. Mod.